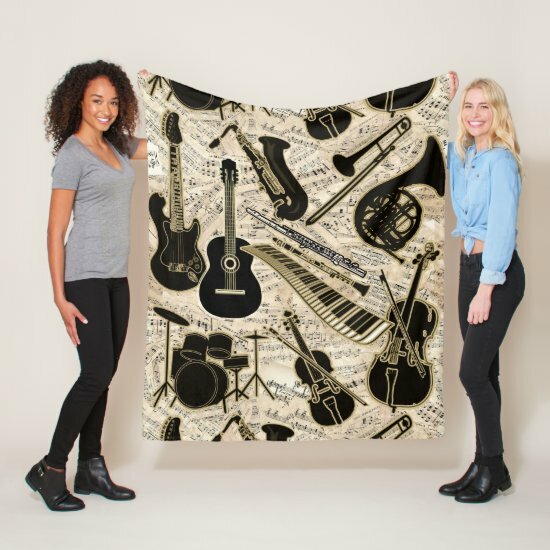 Cuddling up on those chilly winter evenings or snuggling with a lovely glass of wine on a summer evening these music themed deign fleece blankets are the ultimate companion. Available in three sizes there is a size for every occasion be it a picnic in the park or sundown BBQ. These super soft fleece blankets are produced with vibrant print and double edge stitching and are machine washable. Sizes available : Small 30 x 40 inch, medium 50 x 60 inch and Large 60 x 80 inch .